Can selling be heart-centered? Are you a heart-centered entrepreneur ready to attract more clients? Join us to Discover Your Divine Sales Blueprint! In this highly interactive session you will discover your spiritual sales personality (like which sales and marketing strategies are perfect for you without feeling sales-y or pushy). 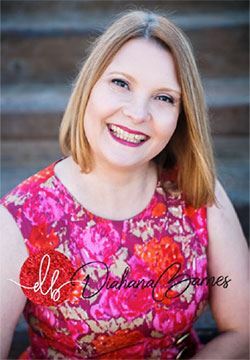 Diahana (pronounced Diana) - is an award-winning trainer, speaker, author and spiritual business coach who has owned her own six-figure coaching and online business since 2006. Her mission is to help 10,000 coaches, healers and heart-centered entrepreneurs easily attract clients and become the Harmonious CEOs of their business. After juggling a demanding corporate job leading multi-million-dollar sales teams, she left because she saw precious time with her kids slipping by while she worked too much and too hard and finally said, "enough!" After leaving and fully embracing her own spiritual gifts and purpose as a coach and healer, she has rock-solid business, where clients "drop" in her lap and achieve their own success quickly and easily. WESO supports the Community Works - Dunn House Shelter and we collect monetary contributions for Dunn House Shelter at our meetings. If you can't make it to a meeting but want to make a money donation, click here. Click here for more info. on other items they need. Make a reservation online with payment or call in your attendance reservation to Cat Carroll at 541-890-4266. (Also, contact Cat if you have food allergies, cancellations or other questions about registration.) Please submit your reservation request (online payment or phone) by 9:00 p.m. on Monday, November 5th. Reservations made after this cut-off date cannot be guaranteed. Cancellations must also be received by that date or you will be responsible for payment of the uncancelled event. Program only - $15.00 for online payment or pay at the door.